Open government and the First Amendment are on trial in Gloucester County, where citizens who sought redress against conniving politicians were charged a steep price for their vigilance. Forty residents who unsuccessfully petitioned to remove four Gloucester supervisors from office have been or dered to pay $80,000 of the nearly $125,000 in legal fees accrued by the board members. The American Civil Liberties Union of Virginia and The Thomas Jefferson Center for the Protection of Free Expression have offered support to the residents. L. Steven Emmert, attorney for the Gloucester County Citizens for Accountable Representation, said he would be astonished to find a legal precedent for the sanctions leveled against his clients, who collected 6,000 signatures to unseat the supervisors. This was no frivolous case. The four supervisors had been indicted by a special grand jury on 14 misdemeanor charges of malfeasance and misuse of office, which included conducting county business in secret. According to the grand jury report, Supervisors Teresa L. Altemus and Michelle R. Ressler conspired to seize control of the board along with two supervisors-elect, Robert A. Crewe and Gregory Woodard. The quartet met at Ressler’s home Nov. 27, 2007, and planned the firing of County Administrator William H. Whitley and County Attorney Daniel Stuck. At the new board’s initial meeting Jan. 2, 2008, Whitley and Stuck were fired. The four supervisors voted to appoint Altemus’ friend Lacy Smith as interim county administrator. What followed over the next week was a full-court press by Smith, Ressler and Crewe to get the county planning director to drop his opposition to a project of developer George R. Woodhouse II, the report states. The grand jury indicted Woodhouse on unrelated felony charges. He was found dead of an apparent suicide Jan. 20. 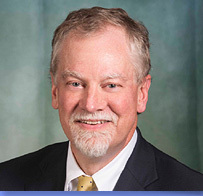 The Supreme Court of Virginia has held that people who have been elected to public bodies but have not yet taken office do not count toward the total number of members present when determining whether a gathering is subject to the Virginia Freedom of Information Act, said Alan Gernhardt, staff attorney for the Virginia FOI Advisory Council. I’m no barrister. But exempting supervisors-elect from the FOI law is asking for trouble. We need a fix here. We also need to amend state law so that no one else will be punished for exercising citizenship rights.